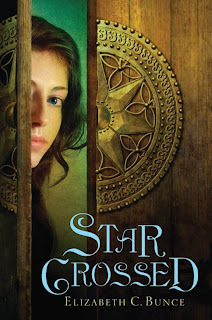 What were the initial seeds of StarCrossed? How long had the book been growing for you before you started writing it? A long time! 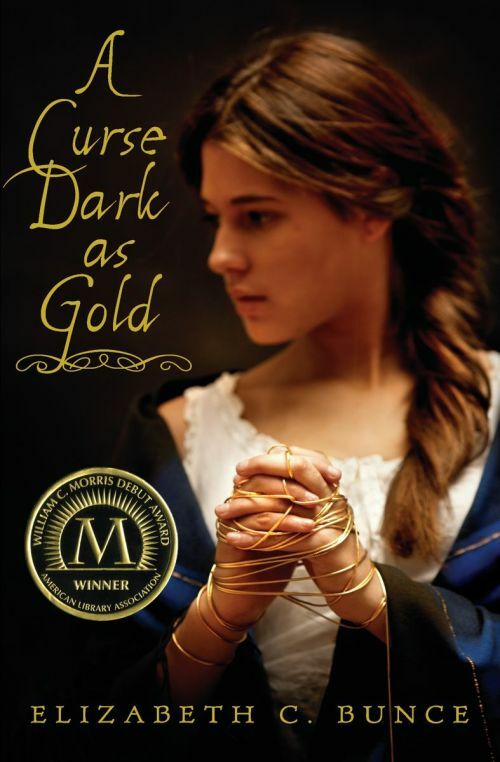 I started drafting the manuscript right after submitting A Curse Dark as Gold to you, in the fall of 2005. But I first heard Digger’s voice whispering to me more than ten years ago, when she was the main character in an adult novella that never went anywhere. And the seeds of her world and her story were much older still. Digger inhabits a fantasy world I’ve been tinkering with since I was a teenager, back when I first realized I wanted to write. As it happened, my idea of A Fun Book apparently involved the main character’s lover being murdered by secret police on Page 1, so clearly my Fun Meter still needs some calibrating! Going about creating a new world was not so different—but working without a plot net (without the framework of a fairytale to guide my storyline) was definitely a little intimidating. This is the first novel I’ve completed that is not a retelling of some sort. On the one hand, that was nerve-wracking, but at the same time it was also very freeing. Since I wasn’t constrained to a predetermined set of plot points and conclusion, I never felt like I was “forcing” my characters into position, and they were able to go about their business quite naturally. As long as I could keep up with them, we did fine! Even though this is a made-up world, I still did my homework, familiarizing myself with everything from lunar science, to castle life, to the tools of historical espionage, to our own world’s history of religious persecution, to period firearms and the technology of warfare! There was a little more freedom here, however, for a couple of reasons. First, Llyvraneth is not so firmly grounded in real-life Earth history as was the world of Curse, so I could focus on the details that served the story best, without concern about anachronisms or inaccuracies. But more than that, Digger herself was a much more impatient character than Charlotte, and tended to pull me away from the research to tell my story, already! a lot sooner than Charlotte ever did. What sorts of reference materials did you make up to help keep track of the world? Since I’ve been working with Llyvraneth for more than twenty years, I didn’t need much for my own reference (aside from a map), but a critique partner requested a glossary and cast list (which became the Lexicon included in the published book), and you asked me for at least a couple of documents to help flesh out the worldbuilding. If I recall correctly, one was a timeline of the political history that feeds StarCrossed's crucial backstory; and the other was an account of Llyvrin/Celyst mythology, chronicling the lives and characters of the seven gods worshipped by Llyvrins. These documents were wonderful fun to come up with, and I really enjoyed drawing on all those years of worldbuilding! One kind of amazing thing happened during the revision process. I ran out of printer paper while printing out a set of your editorial notes, and I had to go digging around the dark recesses of my office to find something, anything that would run through my printer. I ended up with a pack of typing paper from my college word-processor days. When I actually went through and read the printed notes, I discovered that I’d printed a page on top of a hand-drawn map of Llyvraneth I’d done years and years before! Many writers talk about having a markedly different emotional experience writing a second novel after the first has been published . . . either that it’s easier, because they know that they can finish a book and they’ll have some support, or harder, because of new concerns about expectations. What was your experience this time around? And did your writing process change at all with this book? As for the emotional experience? Wow. So, so different. Leaving aside the schedule and deadline, it took me ages to understand that StarCrossed is, in fact, a vastly more complicated story than Curse, which has essentially a single, straightforward plotline. StarCrossed has something like five intertwining mystery plots that must all be resolved in order, in order to achieve Digger’s emotional and thematic development. Realizing this was a turning point for me with the manuscript. But more than that, there was this odd, award-shaped shadow over the writing of this book that made it much more difficult than I ever anticipated. It was really hard to separate the new book from the expectations set up by the Morris Award (&c), and give StarCrossed its own special attention. I think it took me six months to realize that when I wrote Curse, I had never sat down to write An Award-Winning Novel. I’d set out to tell Charlotte’s story with as much honesty and authenticity as possible. That’s all. And that’s all I needed to do for Digger—not write The Next Curse. Just tell Digger’s story to the best of my ability—and I could do that. But I am happy to report that Digger has no trouble at all standing apart from her big sister’s shadow, and from everything we’re hearing so far, readers seem to be enjoying her story immensely (some even more than Curse!). One thing we seem to consistently discover in the editing process for your books is that you’ve written mystery novels in fantasy dress. Are you in fact a mystery reader? Any authors or titles from the genre that you’d recommend? Here’s the funny thing: No! I actually read very few true genre mysteries, if we’re talking Agatha Christie, Janet Evanovich, P.D. James, and that ilk. But I grew up loving Trixie Belden, and must have read each of those books a dozen times, and as a teen I was a huge fan of suspense authors like Lois Duncan and Christopher Pike. As an adult, I watch a ton of mystery TV: “Masterpiece Mystery” on PBS, “Law & Order” (the original only, thank you very much), and almost any show with a paranormal bent, like “Eleventh Hour.” So even though I’m not currently reading much by the way of genre mysteries, I’m never too far from a mystery plot. I’m sure all of that early reading and TV osmosis has fed my stream of consciousness! As a reader/viewer, I appreciate stories that can combine genres, like Ken Follett’s espionage thrillers. Though they’re not “mysteries” in the true Whodunit sense, there’s always an element of secrecy, and an urgency to bring those secrets to light. And I believe it’s that story sense that brings the mystery into my own work. (Well, and then there’s Liar’s Moon, which is, in fact, a pretty classic murder mystery! I guess it's sort of "fantasy noir"). Digger is very different from Charlotte, the protagonist of A Curse Dark as Gold . . . chiefly, I think, in that Charlotte is driven to fight for one place and people she loves, while Digger almost actively resists being part of a community. Do you have more personal sympathy with one or the other of these perspectives? It depends on the day you ask me, I think! I’m definitely an introvert with hermit tendencies, so it can be a struggle for me to remember to engage in my community (be that my actual physical neighborhood or the virtual ones online), but I do tend to hold onto people fiercely once I’m attached. The thing that interested me about Charlotte and Digger is that family is very important to each of them, but what that means, and how they go about identifying and protecting Their Own is very different. Charlotte is devoted to her actual family—her blood kin and her small village—and risks everything to hold them together, even when they might not deserve it. But Digger is perfectly willing to sever ties with her blood relations in favor of a family she’s putting together for herself: a mother in Lady Lyll, a sister in Meri, a brother in... well. You know. The goal is the same, even if their methods and definitions may differ. Are you creating any clothing related to StarCrossed, as you did for Curse? Also, I know that for Curse, you did actually practice shearing sheep, spinning thread, weaving, etc., to have mastery over those skills. . . . Did you learn to pick locks, forge documents, or scale walls for StarCrossed? Sigh. I only wish. My husband bought me a set of lock picks for Christmas last year, but I am technically deficient (I can barely operate an actual key), so I’m afraid they’ve done little more than sit on my desk looking very cool! I do have a passing familiarity with calligraphy, however, so Digger’s book-crafting adventure wasn’t wholly alien to me. And I did track down a replica 16th century pistol recently, as well. As for costuming, my primary field of interest is the Renaissance, so this time around my costuming informed the book, if that makes sense. I drew on my understanding of how the clothing moves and feels, as well as the various pieces of women’s costume and the myriad hiding places they afford that a thief might rely upon! It was during one of my costuming projects a couple of summers ago that I hit upon the perfect place for Digger to keep her lock picks, for instance. What drives you to write? What makes you get up in the morning and sit down at the laptop? How are we defining “morning,” exactly? I have been writing for a very long time, and I can’t imagine my life without it; it’s at the very core of who I am. I do know that I definitely feel an almost physical need to stitch or sew, if I’ve been away from the needle for too long. I’m not sure I’ve ever felt that same drive for writing, but, then, I’ve never really stopped writing long enough to find out! I can say that I have gads of stories to tell, and feel like it would be an awful shame not to tell them. That’s one of the reasons I’m so happy about StarCrossed—the world I created more than twenty years ago is finally really, truly a book! There is enormous satisfaction in that. It's so very nice to see that having a story that I've been working on (in many and varied incarnations) since high school doesn't make me that weird kid who just can't let go. StarCrossed was a joy to read, and I cannot wait to see how Liar's Moon turns out in the end. And there's a third, right? I'll take a day-long leave of absence from Penguin if it means I can make (much more helpful) notes on the third!!!! Great interview! I love hearing your process and the history of Starcrossed. I have a novel that feels like it might drag on 10 years too! however, it's currently on the shelf.... anyway - can't wait to read Starcrossed! What a wonderful interview. I especially loved reading about the discovery of the map! Thanks for sharing! :) It's good to hear what's going on with you. The kid is so unbelievably good with words even when she isn't writing. It's a blessing for us all. So fun to learn more about Star-Crossed and Elizabeth.